Did you know that most of the fruits and vegetables that we eat are basic in nature? They have an alkaline effect on your body when consumed. Even the soap you use is a base. Let us learn more about bases in chemistry. Bases are substances that slippery to touch when in aqueous form. They taste bitter and change the color of red litmus paper to blue. Bases also dissociate in the water like acids, but instead of producing H+ they produce OH- i.e. hydroxyl ion. If a base dissolves in water then it is called an Alkali. Ammonium hydroxide, Calcium hydroxide are some examples of alkalis. Alkalines become less alkaline when mixed with acids. The pH level of bases ranges from 8-14. Some examples are caustic soda or sodium hydroxide, calcium hydroxide or limewater, borax. A lot of bleaches, soaps, detergents, kinds of toothpaste, etc are bases. Bases are slippery to touch when in aqueous form. A base will usually taste bitter. The pH level of a base is from 8 to 14. Bases react with acid to form salt and water. A Base will turn red litmus to blue. They are usually classified on the basis of strength, concentration and on its acidity. Just like acids, the strength of bases depends on the number of hydroxyl ions it produces when dissolved in water. A high amount of hydroxyl ion represents a strong base and a low amount of base represent a weak base. 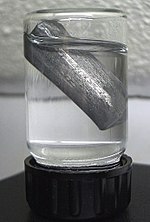 Strong base: A base that dissolves completely or almost completely in water is known as a strong base. For e.g. NaOH, KOH, Ca(OH)2, etc. The concentration of the base depends upon the amount of base dissolved in water. It is of two types i.e. Concentrated and Dilute base. Diluted Base: An aqueous solution which has a relatively low percentage of the base is a dilute base. For e.g. dilute sodium hydroxide, diluted potassium hydroxide, dilute ammonium hydroxide, etc. The acidity of a base depends on the number of hydroxyl ions it contains. It also depends on the number of hydrogen ions with which a base can combine as one hydrogen ion combines with one hydroxyl ion. It is usually of three types Monoacidic base, Diacidic base, and Triacidic base. Diacidic base: It is a base that contains two hydroxyl ions and combines with two hydrogen ions. For e.g. Mg(OH)2, Fe(OH)2, Zn(OH)2, etc. Triacidic base: It is a base that has three hydroxyl ions and combines with three hydrogen ions. For e.g. Aluminium Hydroxide. Sol: The correct answer is option ‘d’. Alkalis are water-soluble bases. They completely dissociate into hydroxide ions in aqueous medium. Hence they are strong bases.